“My friend Ethna mentioned the Common Good Books poetry contest, which paid cash, on the theme of experience. When I brought this lyric to a LYL session, I draped it around a tune, trying to see how the words spilled over the dam. Thus edified, I tinkered with it some before submitting to Common Good. Of course, I lifted ‘life is but a joke’ from Dylan’s ‘All Along the Watchtower,’ but it worked so well in the stanza (is it a chorus?) of philosophy. I chose to leave the ‘do’ and ‘done’ lines as ironic music which states the case. Experience is an interesting topic for this book store’s contest. William Blake titled one of his collections of short lyrics “Songs of Experience,” after which I cannot think of the word without thinking of Blake—but Blake also put much store in the auguries of innocence. Ralph Waldo Emerson toured the country as a speaker, but his contemporary Emily Dickinson famously constricted her travels as she grew up. Emerson’s mind worked best traveling widely, as in his essays. Dickinson mind produced compressed words pinned in a matrix of her famous dashes, and it’s Dickinson’s poetry that we are more likely to turn to today. “Like a dream, experience is being where you are” Dave says. 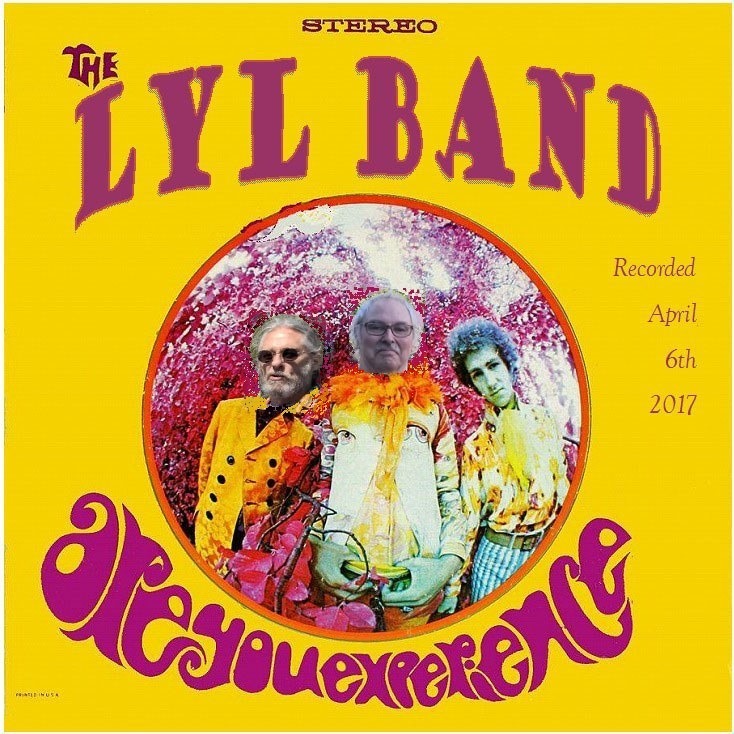 Vinyl lovers, don’t be mislead by the cover shown above, The LYL Band’s version of Dave’s “Experience” doesn’t feature Stratocasters on fire, which is not say that we won’t do that later. Use the player below to listen to “Experience,” or some innocent instrument might get hurt.